Hello Lovely TPL readers! Hope you are all well - it's a Bank Holiday weekend again, so even if the sun does not shine, Ive got an extra day I can spend crafting! How are you spending yours? Thought I would share the sample for next week's class - Using Distress Inks as a colouring medium for stamps. We will be playing with Distress Stains too! I had so much fun last time with the lovely ladies, I can't wait! 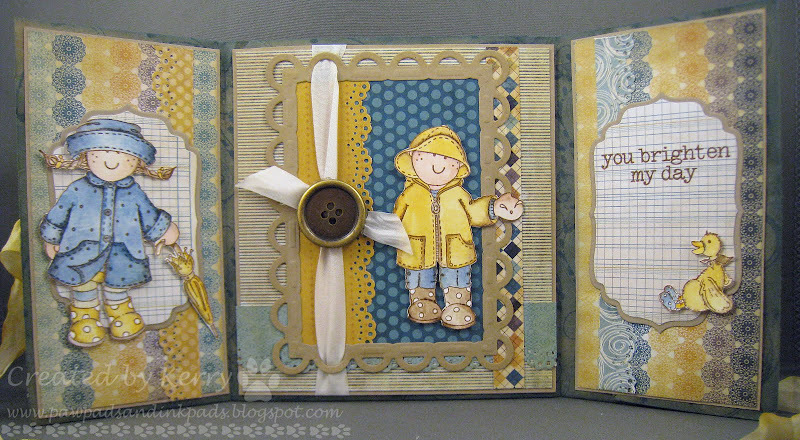 The seam binding has been altered with Distress Inks - more about that at the class! The images used are of course, Molly Blooms. They are really lovely, and little duck with his welly boots? Just too cute!! The papers are My Minds Eye Hattie. We will be using some really delicious new My Minds Eye papers on Sunday - Lost and Found. Just the thought of them is making me smile! 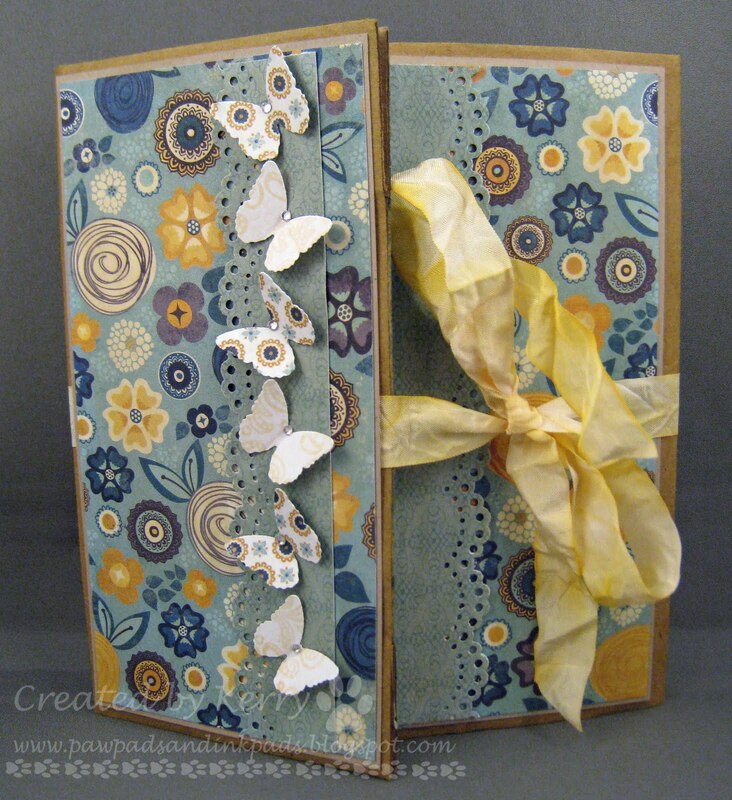 If you like Molly Bloom Stamps, remember our competition to win a fabulous day at the September Molly Blooms workshop! All you have to do is create a card with a Molly Bloom stamp on it, coloured with Copics and send it to us at The Paperlane! Address details are on the blog! Remember, we are not far away from the A1 - so all are welcome to enter! Entries close on June 11th - so get your skates on! Got to be in it to win it! Sadly, our Blog Candy has not been claimed yet! So as it has been 2 weeks since the Candy closed, and we hate to see good stash go unloved! If the prize remains unclaimed by 8pm on Monday, 30th May we will redraw the prize from the original comments.